Add clarity and life to your mixes with this tube-based processor. 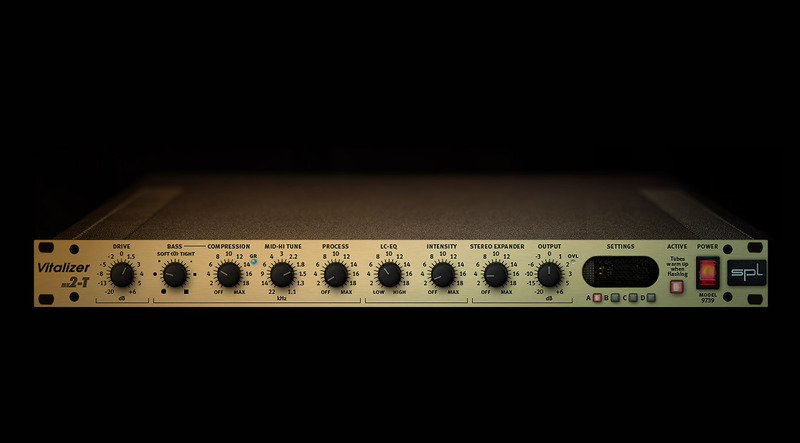 The SPL Vitalizer MK2-T plug-in for UAD-2 hardware and Apollo interfaces is a spot-on emulation of the popular tube-based Vitalizer MK2-T hardware unit, a longtime staple of top mixing and post-production facilities. Employed as both a fixative and an enhancement tool, the Vitalizer MK2-T plug-in shapes sounds in a musical and effective way, bringing life to tracks and buses, enhancing loudness, widening the soundscape, and adding harmonic depth and richness. Bass offers emphasis of two different colors of the low end, variable from "Soft" to "Tight"